San Francisco (AP) – Twitter boss Jack Dorsey, the newly anointed savior of the quirky but troubled microblogging service, is the latest in a long line of tech company founders who’ve been called back to revive their wayward startups. 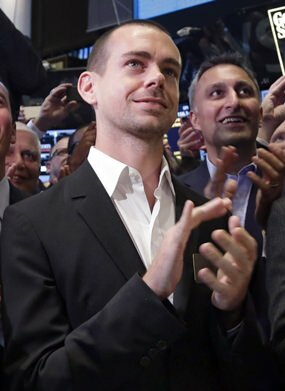 After co-founding Twitter in 2006 and serving a previous two-year stint as CEO, Dorsey returned to the top job this month. His first moves: slashing staff and touting new features intended to draw in more users. Dorsey clearly aims to follow in the footsteps of Apple’s Steve Jobs, who returned 12 years after his 1985 ouster to lead a legendary corporate revival. But not all companies can be Apple, and not all boomerang founders can be Jobs. Any such list has to start with Jobs, who was famously forced out of Apple nine years after he and Steve Wozniak launched the company. Apple’s board wooed Jobs back in 1997 as it teetered on the brink of bankruptcy. Jobs oversaw a series of blockbuster new products, including the iPod, iTunes and the revolutionary iPhone. The latter now brings in nearly two thirds of Apple’s annual revenue, which rose above $180 billion last year. After co-founding the Internet company with David Filo in 1994, Yang handed the reins to “professional” managers in the mid-1990s. But the company was later eclipsed by Google. Yang returned as CEO in 2007 – and was gone again two years later. True, he fought off a takeover bid from Microsoft and made a $1 billion investment in the Chinese e-commerce giant Alibaba – one valued at more than $49 billion last year. But Yang wasn’t able to reignite Yahoo’s growth, a problem his successors haven’t solved, either. Zynga, which Pincus launched in 2007, soared thanks to its popular Facebook-based games like Farmville. Then Facebook opened the doors to rivals, and Zynga’s fortunes went south. Pincus stepped down as CEO in 2013, then reclaimed the top job earlier this year. Zynga’s still on a roller coaster; Pincus has cut staff and scrambled to roll out new games for mobile phones. Michael Dell famously launched what became the world’s largest personal-computer company from his dorm room in 1984. He stepped down as CEO in 2004, but returned to the top job in 2007 as PC sales slumped. Since then, Dell has taken his namesake company private and is remaking it as a seller of computer hardware and software for business. This month, Dell said it’s buying business computing giant EMC Inc. in a blockbuster deal valued at $67 billion.